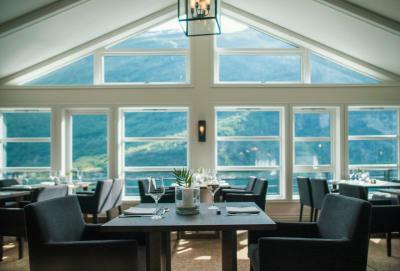 Lock in a great price for Grande Fjord Hotel – rated 9.2 by recent guests! The omelettes were wonderful!! Loved having a bathtub!! Seating on the balcony and the view was incredible, the staff were so very nice!! We went to town every day, and when we wanted to come back to the hotel, we asked the lady at the tourist info center to call the hotel to ask for them to send someone to pick us up each day- no problem- never had to use our phone- and the hotel is always so nice about taking you places. we enjoyed the scenic location and the proximity to boat rentals. The Breakfast was excellent. The view of our room was spectacular. The staff was incredible and so helpful. 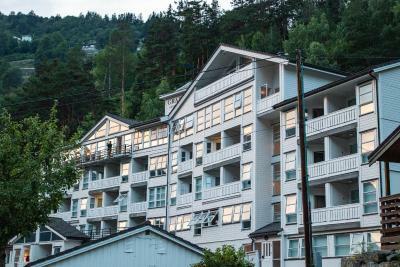 This hotel is very special and was the favorite of our 10 day trip in Norway. Location. Great view to the fiord. Room is very clean, even decorating pillows smelled well. Very comfortable bed and linens. Breakfast of very good quality. The girls that serve breakfast are polite and the breakfast cook is great. Every one of us loved it and become our standard comparing other hotels . View is great. The dinner buffet is very very excellent. The location was great, slightly out of town away from all the crowds but easy shuttle access to the town. 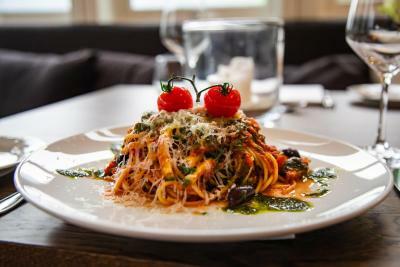 The food was amazing, the best we've had in our 2 weeks stay here. 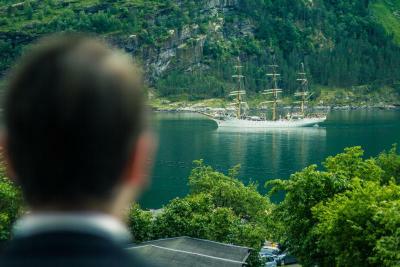 The views are great of the fjord and very relaxing to sit out on the balcony and watch the boats go by. The location was breathtaking. The room with balcony overlooking the Fjord was exceptional. The dinner buffet and breakfast were top notch. 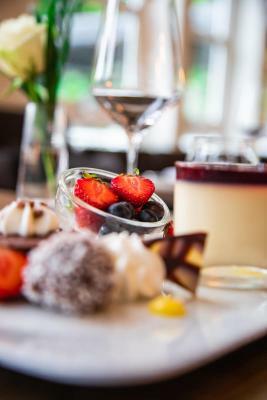 Lovely staff, stunning views from bedrooms and the dining room. Fabulous breakfast and buffet dinner. 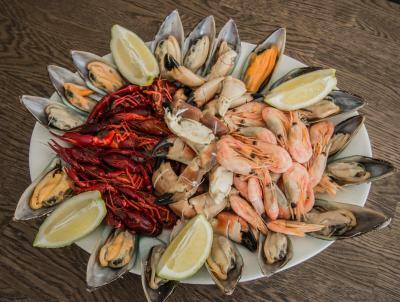 The choice and quality of the food was exceptional. The hotel adjoins two campsites but this does not affect it all; there is a nice stroll to the edge of the fjord. 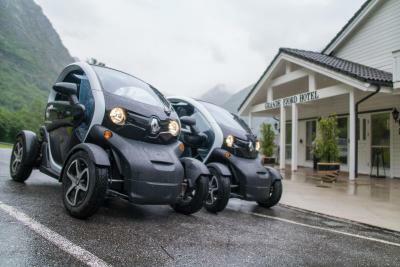 The hotel has a courtesy car (and two electric cars which may be hired) to take guests into Geiranger, which is 2 km from the hotel. 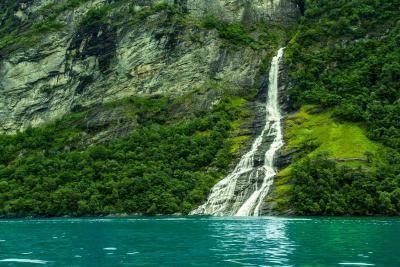 There is not much in Geiranger, apart from the fjord cruise options, but be sure to take the waterfall walk up to the top of the town. 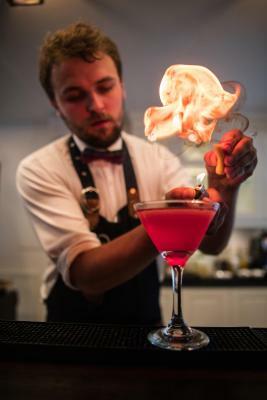 We have been travelling through Scandinavia for 6 weeks and this is the best stand out hotel. 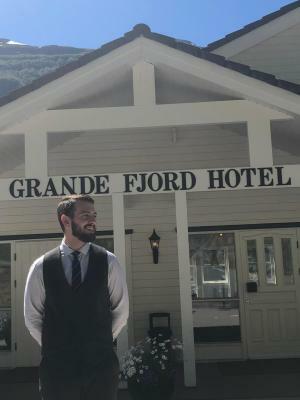 Grande Fjord Hotel This rating is a reflection of how the property compares to the industry standard when it comes to price, facilities and services available. It's based on a self-evaluation by the property. Use this rating to help choose your stay! 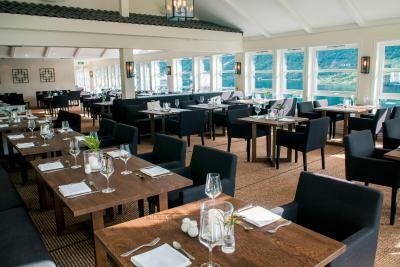 One of our top picks in Geiranger – and a guest favorite. 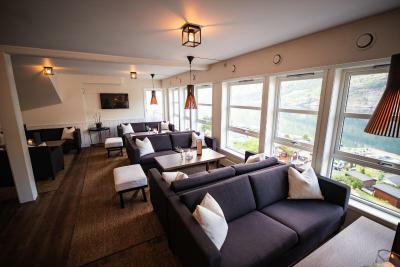 Beautifully located by the Geiranger Fjord, Grande Fjord Hotel offers rooms with cable TV and private bathrooms. 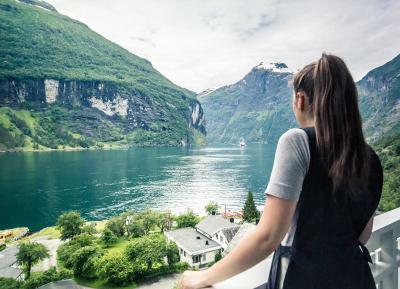 Most rooms have private balconies with stunning fjord views. Free WiFi is available in common areas. 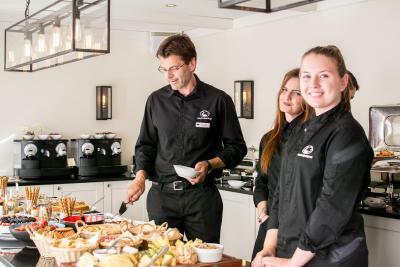 The 6th floor panoramic restaurant at Hotel Grande Fjord offers Scandinavian dishes and a buffet breakfast every morning, Drinks are available in the lounge bar. Guests can hike to Dalsnibba, Ørnesvingen or Flydalsjuvet and enjoy the spectacular views. Boat cruises, fishing and canoeing are also popular activities in the area. Geiranger village is 1.2 mi from the hotel. The Geiranger Fjord is listed as a UNESCO World Heritage Site. 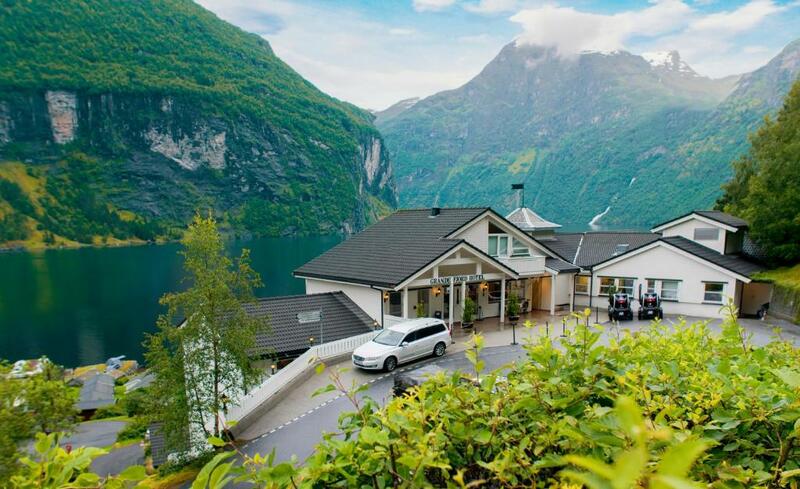 Grande Fjord Hotel offers free transfer to Geiranger village upon request. 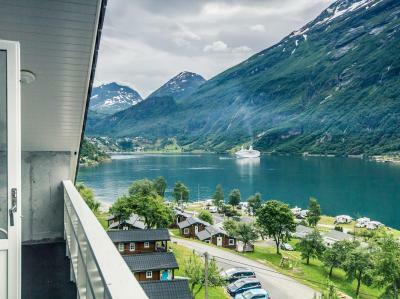 This property also has one of the top-rated locations in Geiranger! Guests are happier about it compared to other properties in the area. 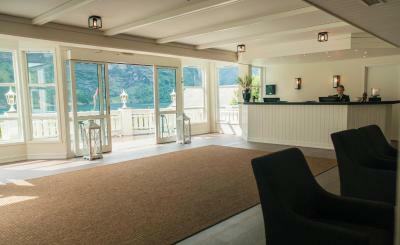 When would you like to stay at Grande Fjord Hotel? This room includes cable TV and a private bathroom with a shower. 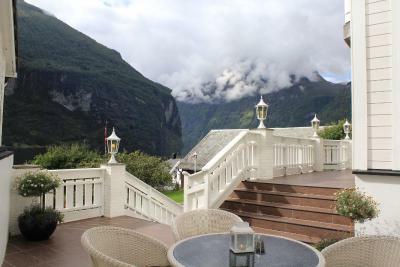 Offers a private balcony with great views of the Geiranger Fjord and the surrounding mountains. 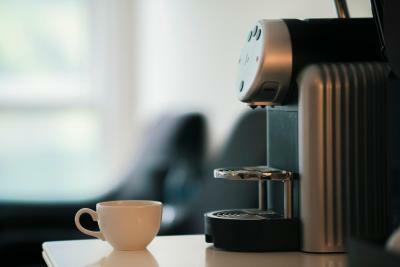 This single room has a cable TV and a capsule coffee machine. 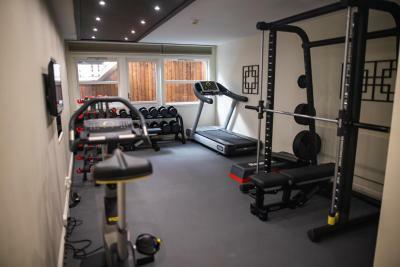 Located on the top floor, this twin/double room has a private balcony with views and flat-screen TV with cable channels. 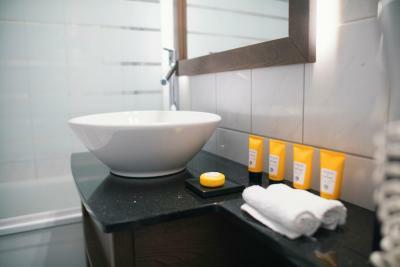 The bathroom has either a bath or shower and includes free toiletries. 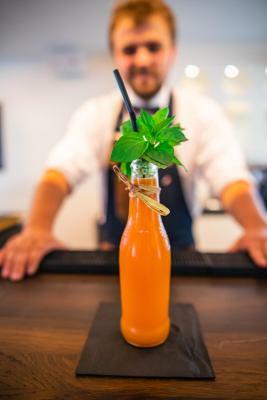 House Rules Grande Fjord Hotel takes special requests – add in the next step! One child under 12 years is charged NOK 250 per night when using existing beds. All children under 2 years are charged NOK 200 per night in a crib. All children under 12 years are charged NOK 400 per night for extra beds. 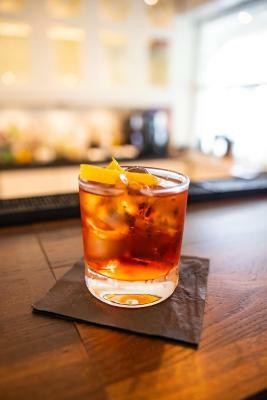 Any additional older children or adults are charged NOK 500 per night for extra beds. 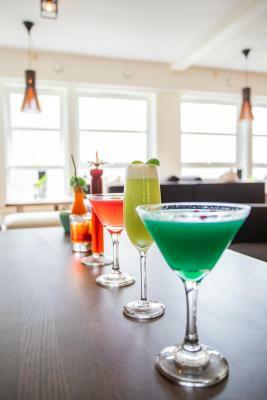 Grande Fjord Hotel accepts these cards and reserves the right to temporarily hold an amount prior to arrival. Please note that from September until May southwest road access to Geiranger from RV 63 Route may be closed due to the weather. Access is still possible on RV 63 from the north. Please contact the property for more information. How to get to Grande Fjord Hotel from "Ålesund Airport, Vigra"
The service in the restaurant was very unprofessional on both evenings that we dined there. Servers became distracted and disappeared for long periods of time and would forget anything requested of them. 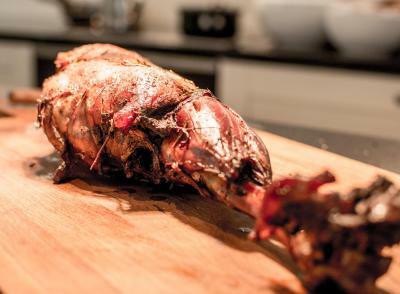 The servers were not well trained, and the restaurant was not well managed. 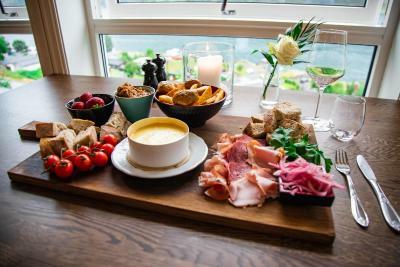 The situation of the hotel overlooking the fjord and the views from our room and from the restaurant were stellar. Our lovely room was compact, however the decor, in the spare Scandinavian style, was soothing and comfortable. The room was also very well equipped. It had a sweet little balcony with an amazing view of the fjord. I kept returning to the balcony to watch the colors and the light changing on the fjord. The restaurant also had incredible views and was bright and spacious. 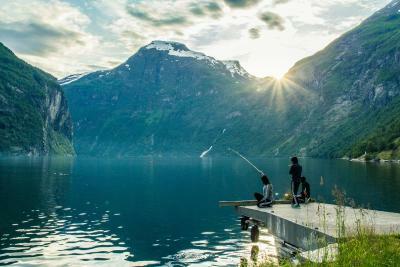 The property, a five-minute drive from the center of the town of Geiranger, felt like an oasis. We arrived at the hotel just two days before they closed for the season, and it seemed clear to us that they were not operating at their normal standard. eg. there were no maps at the front desk( though they did make copies available to us later), no milk for coffee in the reception area nor in our room (when I called the front desk to ask if we could get some, we were told to go to the restaurant/bar on the 6th floor to ask there) no menu available to look at for dinner and certain drinks were not available at the bar (somewhat understandable). There also was no safe in the room and when I asked about this, and if there was a general hotel safe, I was told " What do you need to put in a safe? Just lock your room door, nobody has access" which is, of course, nonsense and rather rude. 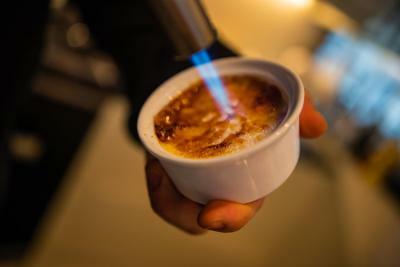 These little things were inconveniences, but worse than that, the staff was generally frazzled and not terribly helpful or friendly. The exception was the very nice and helpful dark-haired gentleman at the front desk in the mornings. 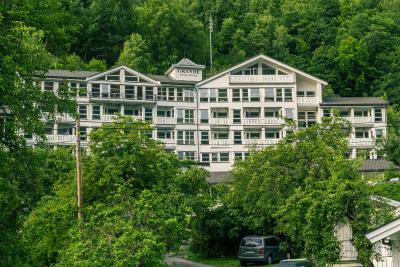 This was by far the most expensive out of the 8 hotels we stayed at in Norway, and at over $300 a night we resented being made to feel like a nuisance any time we needed something. The view, the view, the view!!! Also, the rooms and the common areas were lovely - clean, comfortable, very nicely laid out. Room was street level with view of parking spaces right out the window. Rooms were excellent, very clean and modern and had a fantastic view of the fjord. Staff were very helpful, parked our car and brought in our luggage, gave us a shuttle into town. Breakfast was good, room amenities were sufficient, good location, stunning view from the room and restaurant!! Most of the staff were helpful and nice. The hotel is expensive. The rooms are little bit small. The location of the hotel especially the room with Fjord view. The staff are friendly, breakfast was very good. WiFi was excellent. The shower is wonderful. The prices are too much for my pocket. The location and the view from our room, food..